Awesome news to all barbeque lovers! 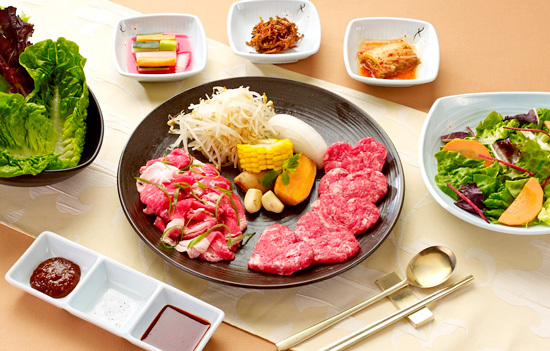 Bulgogi Brothers, famed for its authentic Korean dishes, is now serving right portions at a much lighter price on their prime barbeque offerings. “Now, more diners can enjoy our barbeque offerings as we re-portioned the sizes of the meat making them more affordable,” said Bistro Group AVP for Marketing, Lisa Ronquillo. I love all of the assortments of perfectly marbled meats seasoned to perfection in this restaurant. They’re delightfully tender with superb play of flavours that burst so much pleasure when they land in your mouth. I’m a light eater and this news of re-portioning the sizes of their meat servings appeal to me like Christmas. Besides it now being reasonably priced, there would be no left-overs on my plate anymore. Talk about ‘sulit’and best value for my dining money. The Bulgogi Brothers Special was used to be P1495. But with the re-portioned size that can serve two, it has cut the price almost half at now P695. 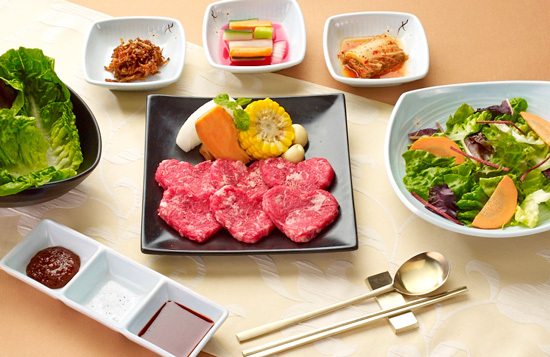 It still comes with the side salad, three Korean side dishes (banchan) and the essential condiments for a more enjoyable meal. This platter of Premium Rib Eye and Boneless Short Ribs that is tender, flavourful and perfectly marbled meat is now serving for only P995. 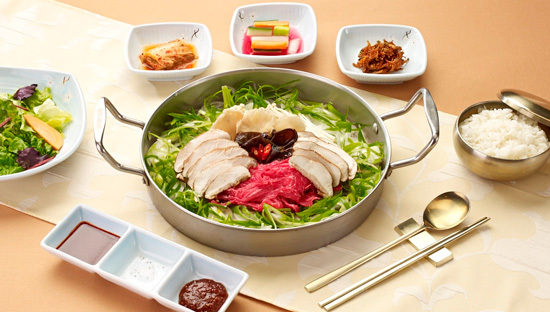 Unyang Style Bulgogi, a famous tasty dish traditionally served in Korean royal court is now made so affordable at P495. And if you’re a non meat eater, this Mushroom Bulgogi that comes with enoki, oyster, black fungus and shiitake mushrooms steamed right on your table can be a very mouth-watering option. No worries, now for only P495. 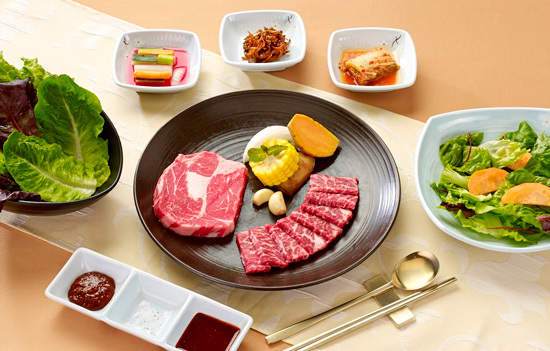 And in honor of true Korean food tradition, all Korean barbeque dishes are served with a variety of kimchi side dishes, dipping sauces and fresh lettuce to make a delicious and healthy wraps. I miss eating KOrean food! I love those heart-shaped meat, so creative.